Wines of Croatia was founded in 2007 by Cliff Rames, a Court of Master Sommeliers Certified Sommelier, wine consultant, wine educator, and freelance writer who has been engaged in a passionate love affair with Croatian wines since his first taste of Dingač in the 1980s. Cliff is based in the New York City area and travels to Croatia 2-3 times per year; he dreams of someday having a Dalmatian stone house and vineyards of his own. 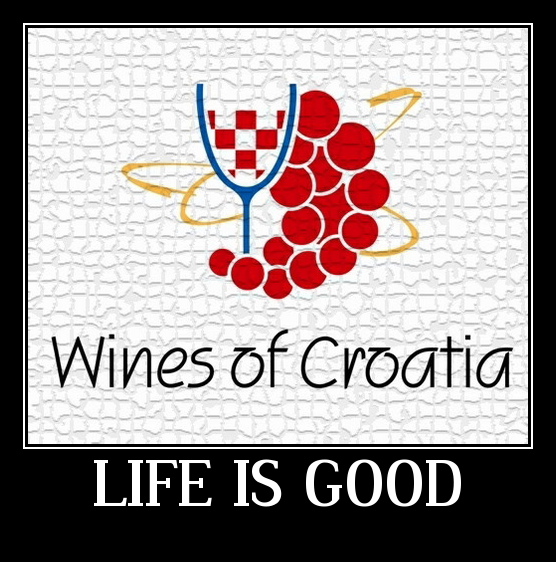 Wines of Croatia is an independent, privately-funded project. Our mission is simple: to objectively support and conduct ongoing educational and promotional activities to raise awareness and expand appreciation of Croatian wines, consequently increasing demand for quality Croatian wine in the U.S., U.K. and other key markets. Not affiliated with any government agency, Wines of Croatia does not directly engage in importation, distribution, wholesaling or the retail sale of wine. However, we maintain contacts with businesses (importers, retailers, wine bars, etc.) that do, and we would be happy to put you in contact with them or advise you where you can purchase Croatian wines in your neighborhood. For fresh updates and to join us in this celebration of the wines, winemakers, native grapes, and wine regions of Croatia, check out our website and social media pages (Facebook, Twitter, Instagram). This project—like wine itself—is a living thing, perpetually evolving, developing and (hopefully) growing more interesting and complex with time. We hope that you will enjoy a glass or two with us along the way. Please feel free to contact us with questions, requests, ideas, or just to say hi. We look forward to hearing from you and meeting somewhere down the wine roads of Croatia. P.S. If you enjoy our work and would like to help support Wines of Croatia, please consider a contribution. Donations are accepted via Paypal. Hello. I would like to put you on my blog roll. I have a food and wine blog from Piedmont, Italy. I would like to know more about wines from Croatia…I heard they are good! Hello, I work in the Export dept. of the new company Agrokor vina from Croatia. I am at the very end of the line that starts with wine producers and then continues through everyone involved in the process of making, promoting, selling etc. wines. I’m at the end of this line, and at the very beginning of a task of gathering as much information and comments about Croatian wines from wine experts and anyone in the business, in order to inform people about Croatia and it’s great wines – thus helping us to try and sell as much Croatian wine to the world as is possible. I would like to take the liberty of occasionally quoting your statements when addressing new contacts and potential buyers. I would also be very glad to help you with your gathering of texts, pictures and any information our company can offer you. I have to mention that I worked with your relative Goran Rameša for as long as he was in the company Istravino, Rijeka and am always glad to see him. 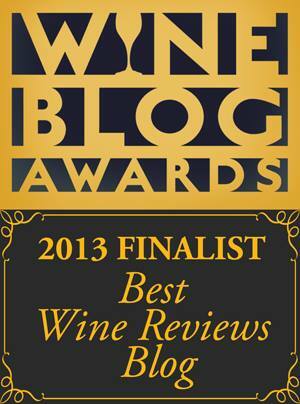 Thank you for your efforts and heart-warming comments about Croatia and it’s wines. Lots of luck with your mission. winary Dingac from Peljesac have trouble selling its wines. Badel, its usual distributor stoped paying for wine two years ago. Problem is that now barrels are full and in few days it will be grapes gathering season. Any ideas what to do? We are working on a promo dinner to include Croatian Wines in London…hopefully some time before Christmas. Would you be able to get in touch with us? You son of a gun !!! Reading your posts and newsletters frequently, I discovered the Krauthaker wines with your help. Now I have a problem ! Oh boy, after tasting, buying and drinking their Grasevina’s I am lost, and what’s worse, I discovered their Pinot Sivi the other day, and that made me go mad ! Just sent them Krauthakers a gratefull message, and asked them where to go to get all of their wines, as I must try at least one by one each of them ! Lucky me, a retired Dutchman, we now live in Croatia, so to keep this addiction in shape all I have to do is get the stuff and taste it. You opened my eyes, my palatum and my purse. Truly a thing to be gratefull for, so thanks Cliff, I owe you a glass some day ! Oh, thank you for your very touching note, Andelco. It really made my day! Like I say on the website, “making memories one glass at a time”. I am so happy that you have discovered Krauthaker wines and that they brought you some joy. I am honored for your kind words and wish you many more happy days of discovery and pleasure in Croatia. If it is okay with you, I would like to share your blog post on the Wines of Croatia Facebook page. I think many of our followers would enjoy it very much. Thank you again, and have a wonderful summer! please do feel free to use my blog post ! by the way, I also found their crvni cuvee, and however the bottle is still closed, I keep looking at it, licking my lips, thinking what’s next from those develish Krauthakers. waiting for an answer to my mail to them, as I want to know where to go for each and every wine they make. if it was’nt that distant, I’d like to drive overthere to know all about it, but it’s quite a drive, so better have them tell me where in the neighbourhood of Split/Omis to get it all. once again, thanks for your fantastic help discovering another great Croatian treasure (and I am sure there there’s a lot more to discover), pozdravi, Pim. I am in search of a wine for a customer. Tomic Plavac 2009. They had it on a recent trip to Croatia and are looking to purchase it in New Jersey. Is there anyone in the US that distributes this? Hi there. Thank you for checking out the blog and for your question. Dalmata Imports in Chicago imports the Tomic 2009 Plavac from Hvar. Mark Radman is the contact person at http://dalmataimport.com/ or 708-769-4974. I don’t think the wine is available in NJ yet, but I would ask if there are any Chicago retailers who could sell you the wine and ship it to NJ. Fantastically useful website. Would like to add you to my site http://www.liveistria.com. Many thanks for the addition to the blogroll and your kind comments. I’ve added you to my ‘useful links’ page with a few words. If you’d like me to say something different, please just let me know. I notice you’ve got 2 sites, so I just linked to the blog site. I’m glad you liked fig scrumping, the final part in my fig trilogy hopefully goes on line later today. I send out a weekly update e-mail, letting people know what’s new on the site. If you’d like me to add you, please just let me have your e-mail address and consider it done! Thought you might like to know one of my upcoming tales involves me grape picking (I’m sure you’re not surprised) I then go taste the must – delicious. I was out this morning, finding out about the 3rd part of the process, how black fruits are magicked into alcoholic nectar. I wouldn’t dream of stepping into your area, but I’ll be interested to see what you think when I finlly get the tale on-line. Just a quick email to ask if we could link our site to yours, and vice versa. We are an independent wine shop in south west london and have begun importing Croatian wines and are currently working on listing the most comprehensive list of Croatian wines in the UK. We also supply bars/clubs and restaurants with Cro wine so slowly promoting all things Croatian! I’ve added you to our blog roll and our Favorites on Facebook. Thank you for letting me know. If you would like any additional coverage on the Wines of Croatia Facebook page, please send more info, e.g. which Croatian wines are available at Vin Bin, any tasting events, etc. Hi Cliff, Nicky from Live Istria here. Somehow I got copied in on all this too. Just wanted to let you know. Not sure if I need to do anything or hpow it happened. I am interested in finding Korlat Vinarija Benkovac Cabernet Sauvignon. Is it possible to obtain this wine in the US? Hi Carol, Unfortunately Korlat wines are not yet imported to the US. Let’s hope someday! I’m looking to buy some Croatian wine for my family at Christmas this year. I’m having trouble choosing a wine for my dad. He usually drinks Bordeaux wines from Saint Emillion region and occasionally drinks Italian reds and Argentinian Malbec. I’m just wondering if you could recommend a good quality full bodied red for me to buy my dad this Christmas. My dad is also half Croatian so I think it would be a cool present to get him and I live in the UK so Croatian wines are quiet hard to come by here although I have found a few sites which import Croatian wines to the world and the UK. Thank you for contacting us. Are you located in the U.S.? If so there are a couple option for online buying and shipping to your door. Let us know! Is Kastelet wine still available? I am trying to find it in the Chicagoland area. The stores where I found it in the past don’t seem to have it anymore. Hi Angela – Kastelet used to be produced by Dalmacijavino, who recently went bankrupt and was purchased by an outside investor. I have not seen it imported to the USA for a while now. In Chicago though, Grand Prix Beverage (www.gpbev.com) imports Croatian wines, mainly from Badel. I hope this helps. Thanks, Cliff! Sorry to hear that as I was hoping I could find it for my uncle. I’m astonished by the amount of extraordinary information regarding Croatian wines ( and vines) I was sadly not aware of 3 yrs ago when I visited Croatia. I wish I had ran into this blog back then. My most sincere thanks to you for creating this fantastic source of information available to all of us.